Arcangea was born in 1988 finding an ideal location for his inauguration: an uncontaminated area between Romagna and Marche, in the municipality of Gemmano. This area is emerging as a Natural Reserve , where you can collect and grow organic cultivations of wild plants. 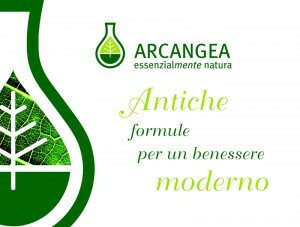 In 2008 Arcangea opens a new office in the town of Borghi on the hills of Santarcangelo di Romagna. In Arcangea we promote a health-happiness vision, which is realized through a dynamic balance of man and the environment that hosts him. The products are formulated by combining the knowledge of ancient herbal traditions with the modern academic research on the benefits of plant extracts and on the dynamics of the natural elements. Our scientific committee is in constant and ongoing relationship with Italians and international universities; from this exchange were born lectures and publications aimed at increasing the knowledge of herbal remedies and to spread a ethical vision of medicine. We are focused on what man needs and his land; we give this attention in all phases of production: from the cultivation of fresh plant through processing, to the finished product. We develop our remedies with the aim to return the body’s ability to regulate itself where this is diminished or atrophied. We believe in self-determination of the person and in the free will in the choice of health-care. We follow traditional recipes applying the most modern procedures of supply chain control. At the base of our formulations there are plants from organic or spontaneous growth in pristine areas. The formulation of our products is meant to urge self-healing potentials that each organism has. Each remedy is therefore to be understood as an aid to retrieve a overall wellness which is much more than the neutralization of a symptom. The excipients in our formulations are minimal and we guarantee high titration of active ingredient. Most of our Products are gluten-free and suitable for vegetarians. Not tested on animals.